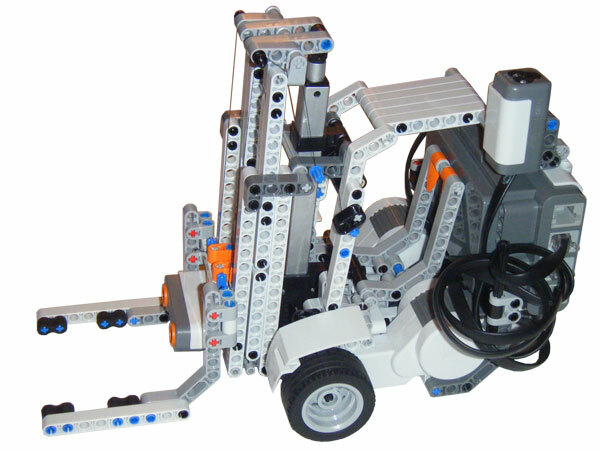 This LEGO forklift is a differential drive vehicle with a telescopic mast that can extend up to twice its length. The servomotor used to raise the forks is a Actuonix L12 Linear Actuator. 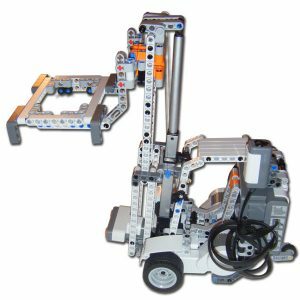 The LEGO compatible Actuonix Linear Actuators can be connected and controlled as the standard NXT servomotors. 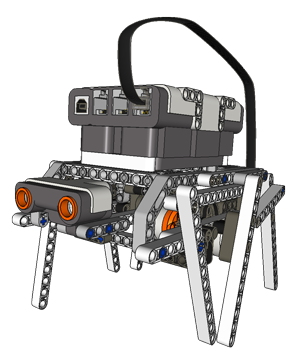 I developed an NXC library to manage the Actuonix Linear Actuators. You can download the NXC library from here. 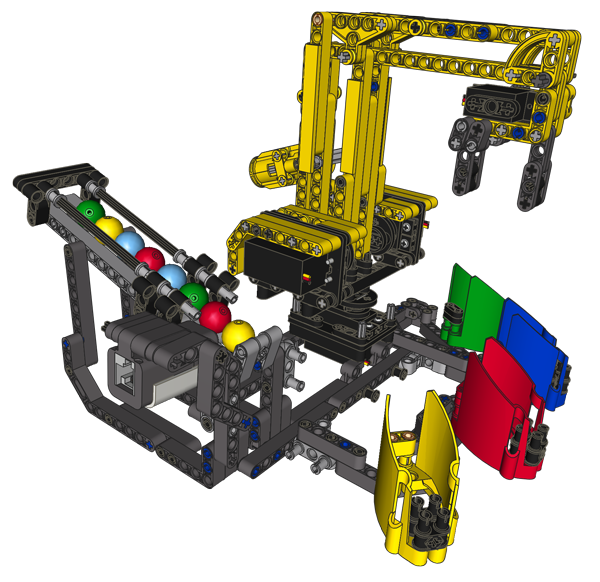 You can download the LDRAW parts library from here. 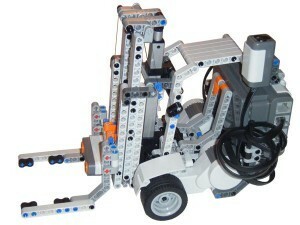 Check out the LEGO forklift in action in the video below! at the specified SPEED. If the flag TOTALLY is true, the motor runs until the end stop. is true, the motor runs until the end stop. The OUTPUT (boolean) is true if the motor was blocked before completing its run, or false if it could complete the run. In order to open the MLCAD file, you need to install the LDRAW software suite and the Linear Actuators LDRAW parts by Philo. Like this post, and the download button will appear!